A reaction over the top? Not sure. 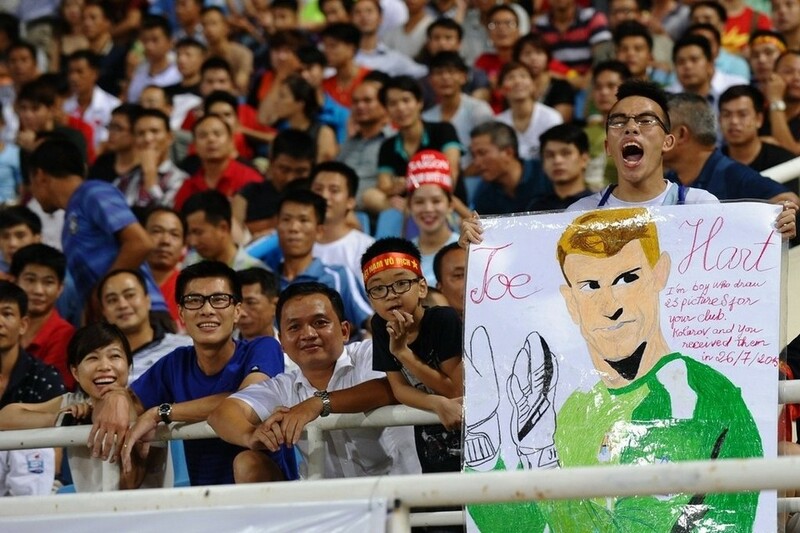 A Vietnamese fan, disappointed in Manchester City players attitude, burnt 10 tickets for the Citizens friendly game. All he asked was from the City players to say “hi”. The Premier League has announced that at least £1bn of its £5bn domestic TV deal will be redistributed outside the top flight and committing all clubs to pay staff the living wage. There are a lot of social media reports on football out there. One which I find interesting, insightful accurate and extremely well done is the one of Matthew Carlton Founder & Lead Analyst at Accepted Socially. Have a look and enjoy! The English Premier League has announced that the South African city of Johannesburg will stage the first edition of its Premier League Live initiative on March 29-30. FC Barcelona has reached a global sponsorship deal with Intel and bring more technology amongst its global partners. I often point out that football clubs are tapping into the high fashion industry, not only to explore new revenue streams, but to also position their brand image on a high end segment. Real Madrid recently signed a sponsorship deal with Versace. Last year, Hugo Boss was appointed as Manchester Ciry official players’ suits designer, while Dolce & Gabbana became AC Milan’s official tailor. Now Arsenal suits will be designed by Lanvin.